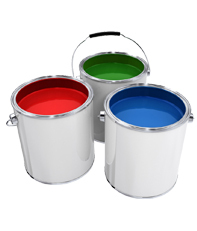 Aqua-Shield WSR Series - These gas cylinder coatings are high-gloss, single component, very fast dry water-reducible enamels. The WSR Series is our standard line. Aqua-Shield WAS Series - A newer version of our WSR gas cylinder coatings, the WAS Series offers the same performance of our standard line, but in a spray-viscosity form. With a lower viscosity, but the same amount of solid paint in each bucket, the WAS Series is ideal for high-volume conventional spray facilities who want to spray straight from the bucket without having to thin a product. For ease of ordering, our Aqua-Shield WAS series gas cylinder coatings have the same product numbers as their WSR counterparts. They are also priced the same. Both lines of gas cylinder coatings are available in all standard cylinder colors, including metallics, as well as in custom colors. 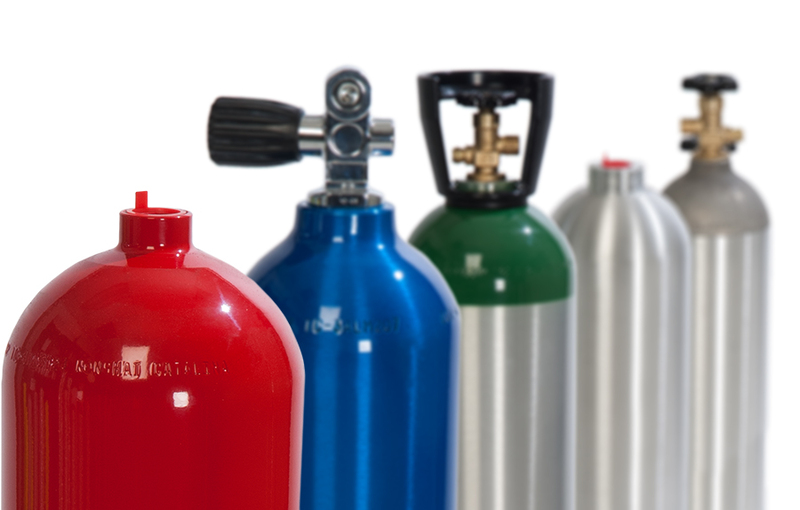 We also carry matching aerosols for touch-up of cylinders or for painting cylinder caps, collars, and neck rings.